Sanyo has announced its new NVA-GS1609FT and NVA-GS1409DT in-dash multimedia GPS navigation which come with built-in 16GB and 8GB SSD for storage so that it can be more durable and faster than non-flash based storage. Both of them can play MP3, MWA, AAC files from SD cards. In addition, the NVA-GS1409DT can also record music to SD cards while the NVA-GS1609FT can read music from USB drive and supports iPod connectivity. Another interesting feature is the Eco Drive function that will instructs the driver on energy-saving driving techniques. DVD/CD drive and an FM tuner. 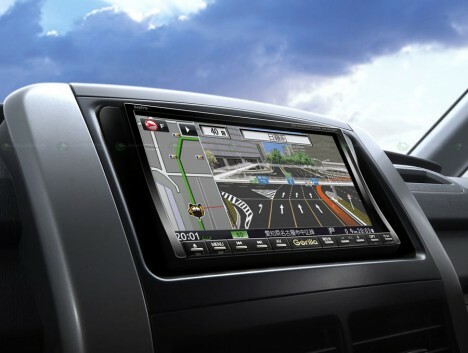 The new sanyo NVA-GS1609FT and NVA-GS1409DT multimedia GPS navigation will be available starting in mid-June but the price has yet to be announced.